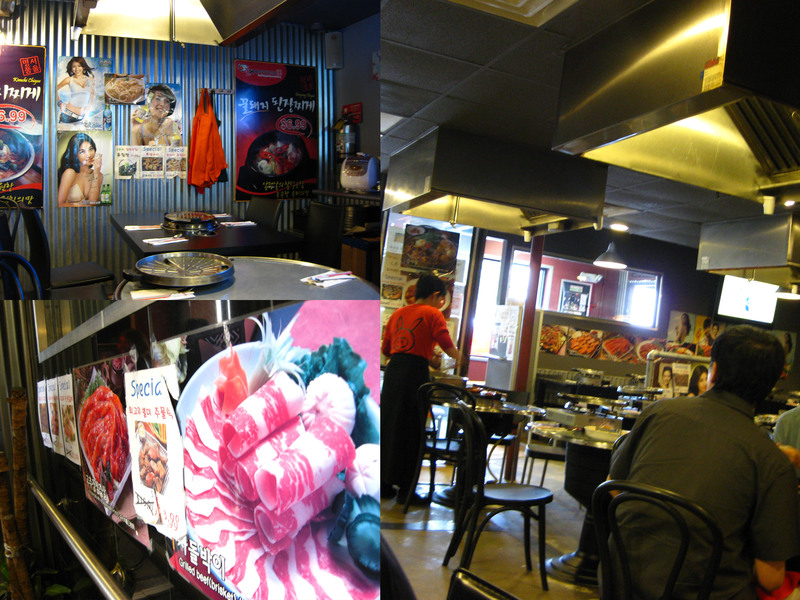 I haven’t always been a huge fan of Korean food… in fact I’m still easing myself into it all. Two years ago the most I would eat is Kimchi ramen and mandoo (potstickers). Enter Honeypig from Annandale, VA. Think it’s too spicy? That’s what I thought too! (Interesting tidbit: I have a low tolerance for heat). If it’s your first time or for that matter your 40th time, I recommend the Kalbi (shortribs, can’t go wrong there) and the pork belly (trust me it’s delectable). You’re welcome. 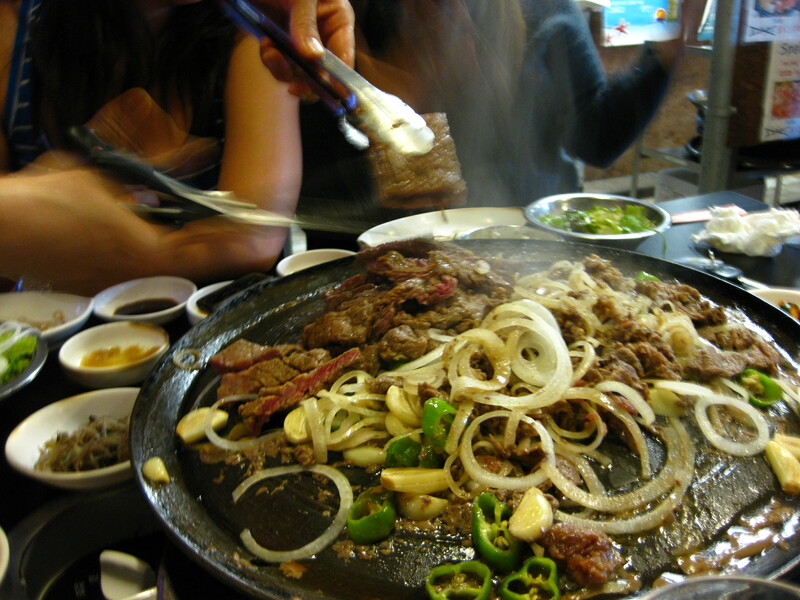 The servers will bring the meat on platters and cook it tableside. See the blur of hands with the tongs and scissors? That’s a kbbq artist at work. 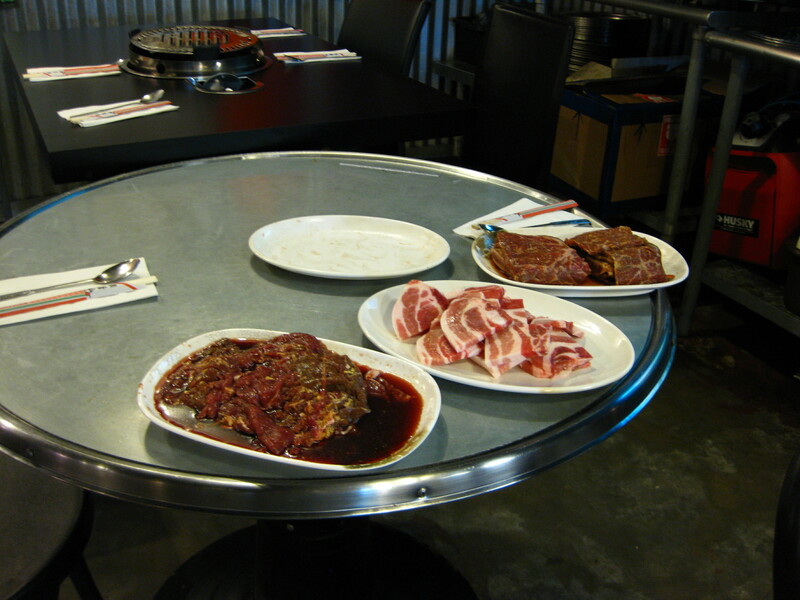 With your meat you’re provided all sorts of condiments, I recommend tasting a little of each to see how you like it. 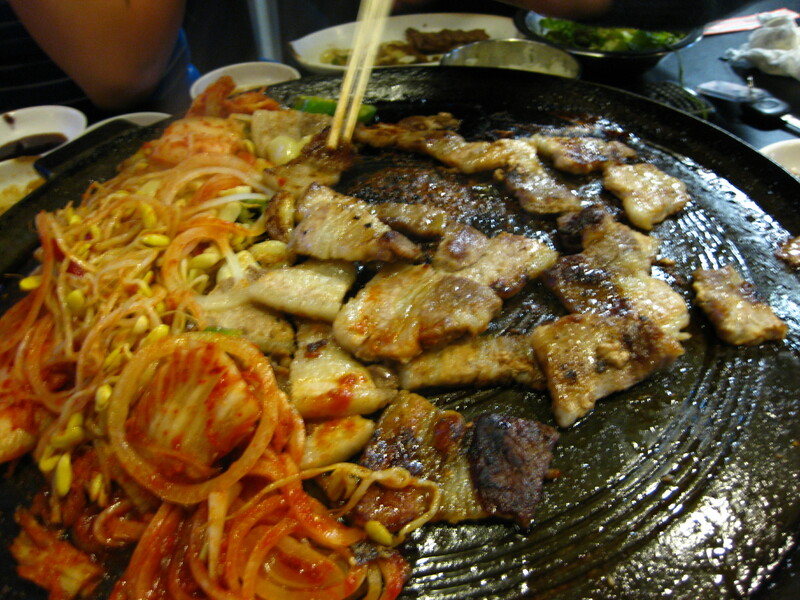 But for starters, grab a leaf of lettuce, spoon some rice onto it, top with meat, dip into the soy garlic sauce and devour. 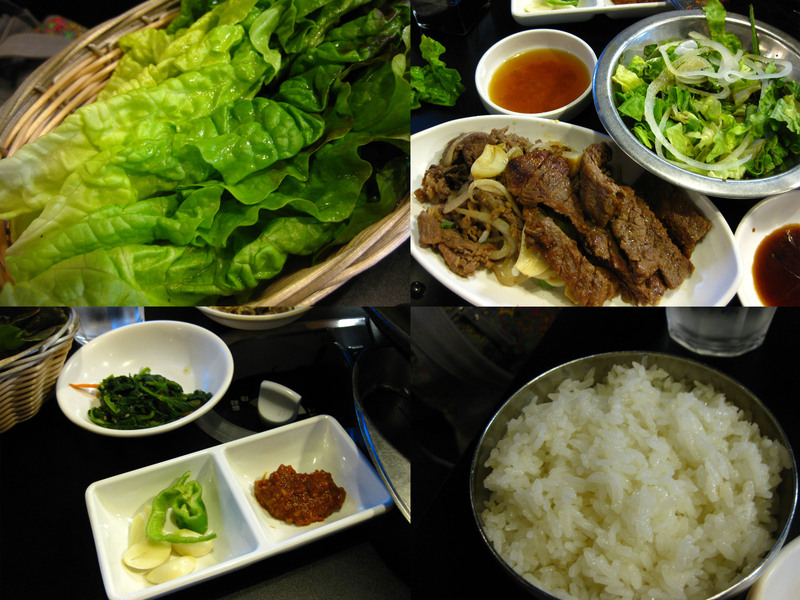 Fresh lettuce, warm rice, and flavorful shortrib = happy mouth. 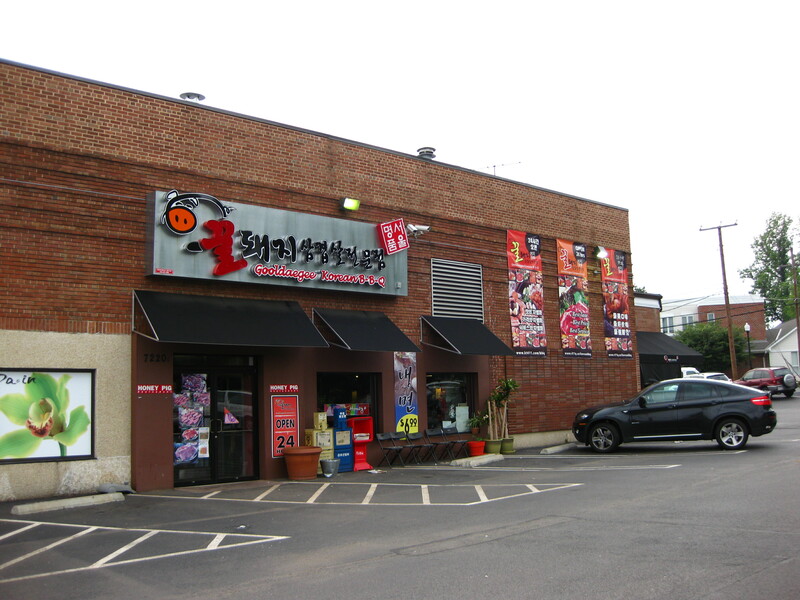 If you’re ever in Annandale, stop by this place, it’s open 24 hours. Oh my gosh! I want some right now. I’m gonna need to figure out how to fit it into my points allowance, because it’s singing to me and I don’t think I can resist!